The Eatwell Guide: Does it Really Lead to a Balanced Diet? Does The Eatwell Guide Lead to a Balanced Diet? Potatoes, bread, rice, pasta and other starchy carbohydrates. Obtaining a balanced diet is essential for everyone, no matter your age, lifestyle or weight. 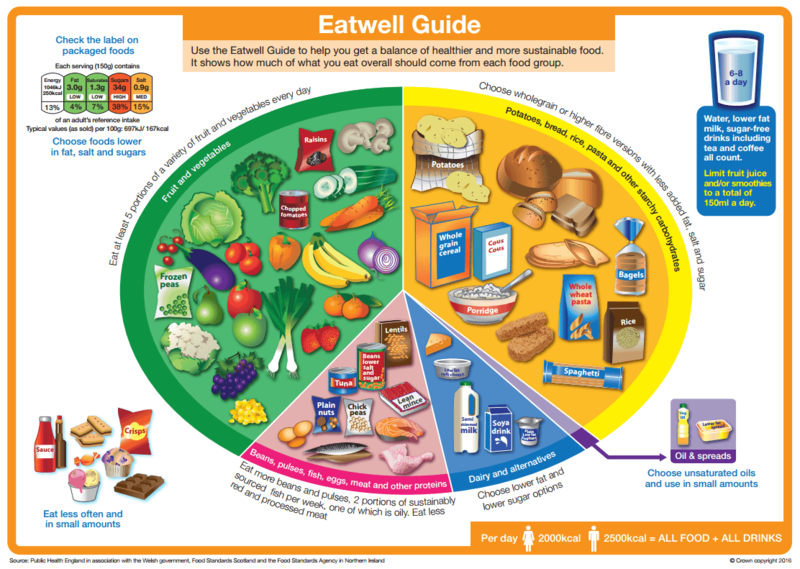 The Eatwell Guide points towards eating all foods in moderation – but is this what the image actually represents? The guide places a huge emphasis on fruit, vegetables and starchy foods. And whilst it’s important to get some carbohydrates (from starchy foods) in your diet, the plate displays a noticeable imbalance. It gives far more priority to carbs than any other food group. Right off the bat, this doesn’t really suggest a balanced diet. Proteins, including meat and fish, have a much smaller section on the plate, yet it is well known that they play a huge role in everyday nutrition. Even more so if they are good quality, lean proteins. 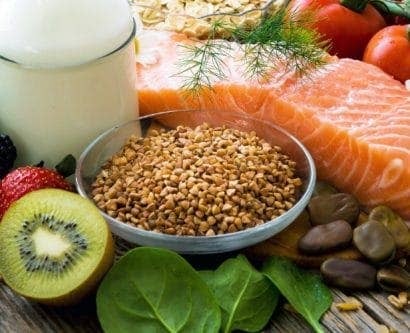 Furthermore, there are so many nutrients to be obtained from fish and seafood, sometimes more than fruit and vegetables. So it seems unwarranted to have such a small section on the Eat Well Plate for them. For a good, nutritionally balanced plate, more emphasis should be put on the unrefined, whole foods that your body needs for optimum health. Currently, the guide states ‘choose wholegrain or higher fibre versions’ of starchy foods, but this information is not very prominent. The food pictures shown are of the white, refined starch varieties. So this can be misleading for some. The amount of energy and nutrients each person needs also varies depending on a number of factors. For example: body size, age and lifestyle. So it’s difficult to summarise a ‘generic’ healthy eating plate that suits everyone. The Eatwell Guide appears to be a good starting point for those who are new to nutrition. But, for everyone else, it can make a lot of sweeping statements about what an everyday ‘balanced’ diet should consist of. There are several flaws in the Eatwell Guide when it comes to determining portion sizes. For starters, it suggests that around 1/3 of your meal should be starchy foods, a 1/3 fruit and vegetables and the final 1/3 a mixture of dairy, protein and fats. 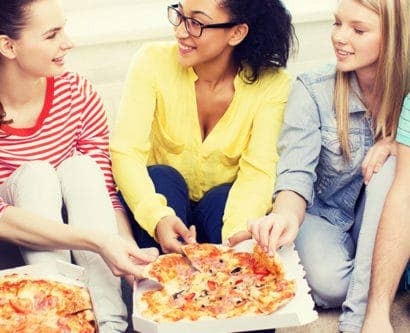 Placing so much prominence on starchy foods suggests that they should make up the biggest portion of every meal, yet it’s known that too much can contribute towards weight gain. So why is so much importance placed on them? Even the wholegrain varieties should be eaten in relatively small amounts if you don’t want to pile on the pounds. Similarly, how big are the suggested meals? The diagram makes the average meal look quite substantial, and may encourage people to take large portions of everything. If you have an enormous dinner plate, is it OK to eat more as long as you balance food out into the recommended groups of 1/3 carbs, 1/3 veg etc.? Surely not. However, the government has done some work towards advising people on portion sizes. The Change 4 Life campaign encourages ‘me size’ portions of food, i.e. portions should be adapted according to the lifestyle, weight and age etc. of the person. This is a positive step forward, yet it still doesn’t solve the problem of obtaining a truly balanced diet. The guide also suggests that you need to eat from every food category at every meal, which certainly isn’t the case! Can you imagine trying to shoehorn in meat and vegetables with your breakfast just to make it match up with recommendations? However, basing all of our meals on starchy foods is a problem. These types of food have a high glycaemic index and the potential to lead to obesity, heart disease and type 2 diabetes. So why does the government advise us to eat more of the foods that makes us fat? Probably because starchy foods contain a lot of energy and help keep you going for longer. But is it worth it when it’s been proven that eating large quantities of starchy foods leads to weight gain? According to the Eatwell guidance, starchy foods are also the main source of certain nutrients in our diet – but this is certainly not the case. 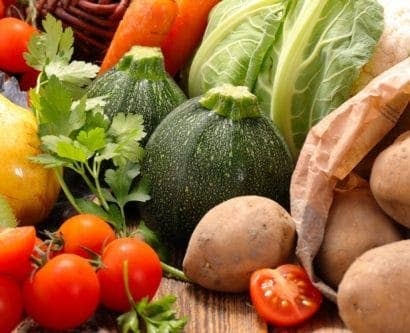 The nutrients in carbohydrates that help regulate cholesterol, assist the body in absorbing calcium and help to digest food can be found in many vegetables and protein products, which are in fact much better for our health. So why isn’t the focus on them? Furthermore, the plate gives no guidance on how you should cook your starchy foods. Consider a plate with 1/3 dedicated to potatoes. 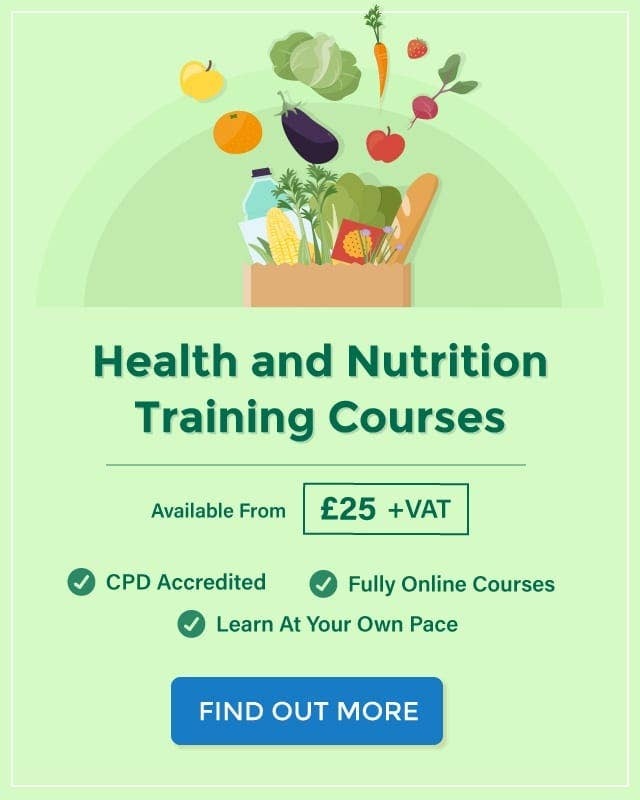 This could mean 1/3 of a plate of oven chips, deep fried potato cakes, roast potatoes or boiled new potatoes, even though each of these products have very different nutritional and calorific values! The Eat Well Plate states that around 1/3 of our diet should consist of fruit and vegetables which, in fact, sounds like brilliant nutritional advice! What’s more, this is backed up by the UK government’s 5-a-Day campaign, whereby everyone everywhere is being instructed that they must eat 5 portions of fruit and vegetables a day in order to be healthy. We wish it was that simple. Unfortunately, insisting on 5-a-Day does not lead to perfect nutrition and will not solve all of our dietary problems. Not to mention that it’s actually quite difficult to do. Have you ever tried counting what you eat in a day? When you don’t reach the magic 5 it can be quite disheartening. Whilst this target gives us an idea of what we should be eating for better health, using it as a benchmark may not be the way forward. Placing emphasis on fruit and veg is a good thing, but it does also have negatives. Vegetables are brilliant – let’s get that out the way first – and you should eat as many as you can at every meal. It’s the fruit that’s the problem. Fruit, in moderation, is very beneficial to your health. However, fruits contain a massive amount of sugar in the form of fructose, which is incredibly bad for your teeth, weight and those with diabetes. If eaten in excess, they can also leave you feeling bloated. This can then put you off eating all the other good stuff you need! The Eatwell Guide does consider fruit juices and smoothies. But these often contain added sugar and sweeteners (as if there wasn’t enough in them already). Fortunately, the guide offers sound advice that these should be limited to 150ml per day. In summary: choose veg over fruit, it’s much better for you. Beans, Pulses, Fish, Eggs, Meat, etc. The Eatwell Guide suggests that proteins should be eaten in moderately small amounts, making up around 1/9th of your plate. Cast your minds back to how many starchy foods you’ve got on your plate already – a 1/3 – and then compare this to the recommendation for proteins. Only 1/9 of a plate? You might as well not bother. Protein, whether from meat, fish or a vegetarian alternative, is essential for health. It helps to build cells, maintain muscle and make enzymes in the body. It’s even more important if you live an active lifestyle – something the Eatwell Guide doesn’t even consider at all. As with the starchy foods, there’s also no indication of how our proteins should be cooked. Can we use oil or butter for frying? Are chicken nuggets, steak and a tin of kidney beans all of equal nutritional value? The answer is clearly no, but the Guide doesn’t clarify this. Perhaps more care needs to be taken when it comes to recommending which sources of protein should be eaten. As with protein-rich foods, the Eatwell Guide suggests that dairy and alternatives should make up a small amount of your daily diet – around 1/10th. This is good to highlight, as dairy is an essential part of your diet. It provides us with calcium and B vitamins and helps keep our bones healthy, and can come from milk (or alternatives), cheese, cream and yogurt. 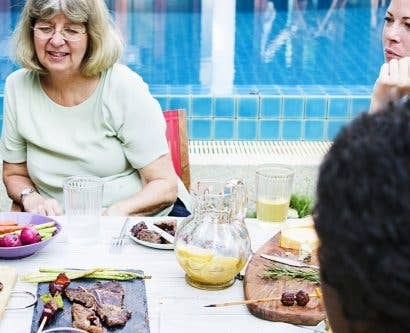 However, contrary to what the Eat Well Plate suggests, you don’t actually need to eat dairy at every meal – or even at all – for your body to obtain adequate amounts of the nutrients. Just two servings of dairy a day is sufficient for most people, which is not what the guide implies. Furthermore, many people don’t eat dairy due to allergies, lactose intolerance or dietary choices, such as veganism. Does this mean that these people cannot obtain a balanced diet? We know that this isn’t the case. Soy milk, coconut milk, almond milk, vegan cheese and soy yogurt all count towards the 2-a-day target. Shouldn’t this be made more obvious by the Eat Well Plate? It’s also quite surprising how the plate gives near-equal weighting to products such as cheese as it does to protein. It’s known that cheese provides you with dairy nutrients, but it’s also an evident source of unhealthy fats. Imagine the equivalent amount of lean meat or beans – are the two really comparable? Should we really be advised to consume similar proportions of each? Finally it’s time to take a look towards the fats in our diet. The Eatwell Guide says that foods and drinks high in fat and/or sugar should be eaten in very small amounts. 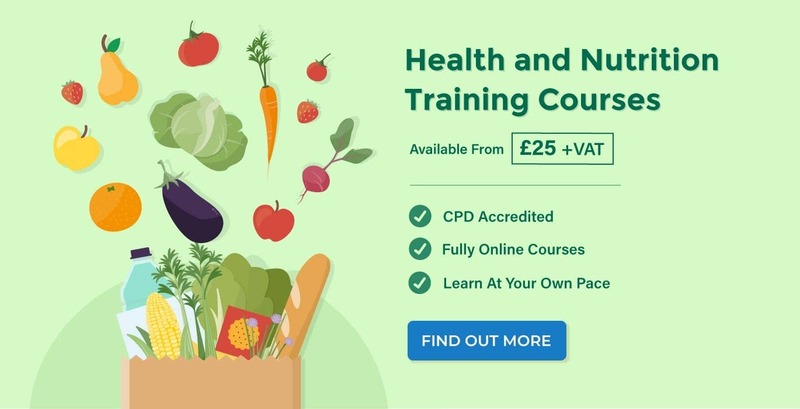 This makes sense, as too many of these foods are known to contribute towards health problems, and the guide emphasises that they are non-essential to the daily diet by excluding them from the main diagram. Fatty and sugary foods are non-essential elements to the diet. This is particularly true of those that are refined: commonly found in ready-made foods and drinks. As well as being devoid of any nutrients, refined sugars and carbohydrates have the ability to cause rapid spikes in blood insulin levels. So they must be controlled. Fats, on the other hand, pose less of a problem – assuming they’re the healthy kind, that is. Healthy unsaturated fats, such as those in avocados, olive oil, butters and oily fish, have many health benefits and are a crucial part of our diet. These fats provide us with essential fatty acids, such as omega-3, vitamins A, D, E and K, and help to lower cholesterol levels. At least the Eatwell Guide makes this distinction between healthy and unhealthy fats by including the healthy, unsaturated oils and spreads as an essential part of the daily diet. Overall, it seems that education is the way forward when it comes to choosing a truly balanced diet. Whilst the Eatwell Guide works as a basic reference point, it is by no means comprehensive and certainly doesn’t work for everyone. The diagram makes suggestions that are perhaps out-of-date with nutritional research, and makes no reference to healthy ways of preparing food. However, for those new to nutrition, the Eatwell Guide does display some valuable points. Remember to eat all foods in moderation and in ‘me size’ portions but, more importantly, always eat your veg!